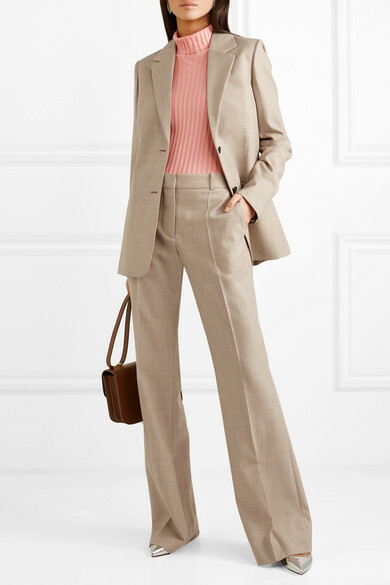 We're sure Victoria Beckham won't mind us saying that she looks chicest when wearing an (almost) oversized blazer and crisp white shirt underneath. 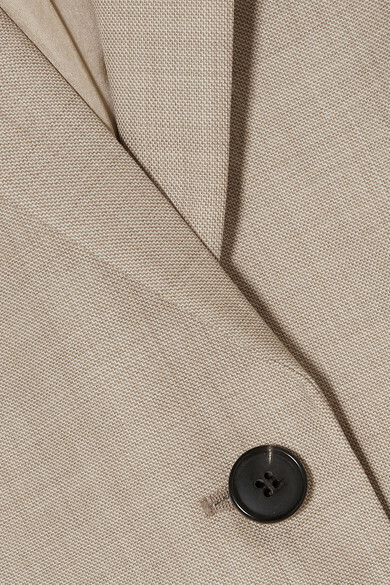 Arriving for Spring '19, this one has been tailored in Italy for a loose fit from beige wool. 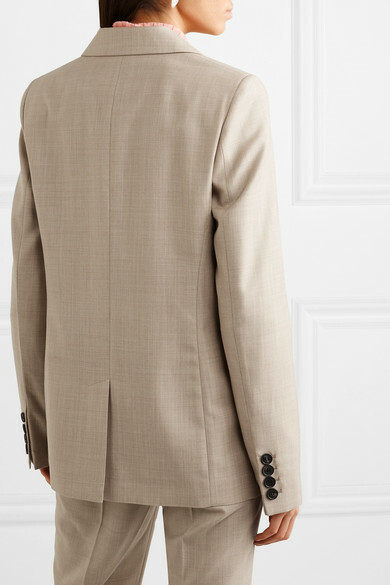 It's fitted with shoulder pads and fastens with chunky horn buttons. 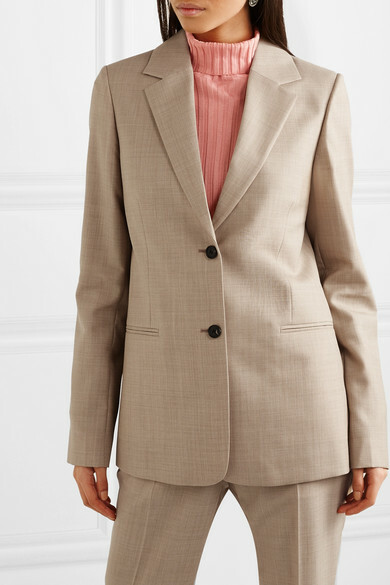 Take cues from the designer and wear it as a suit with your hair pulled into a low pony. Shown here with: Victoria Beckham Sweater, Victoria Beckham Shoulder bag, Francesco Russo Pumps, Leigh Miller Earrings.